I’ve been a boarder for about 10 years, give or take some time off. Most of the places I have been are really great, and I’m lucky to never have had a REALLY bad experience. Even now, even though I am really annoyed by somethings – I should state that my horse has not been in any physical danger or inhumane situations at all during his stay at my current boarding place. However, I don’t think for what I’m paying I should have to settle for just that bare minimum. That being said, here’s my venting list after a frustrating afternoon at the barn. Saying that “You don’t like high maintenance boarders.” I have a news flash for you – horse people are high maintenance. Our horses are our babies, and they are expensive. We pay a lot for you to house them and take care of them, and we expect to be able to express our complaints. Changing my horse’s feed without asking me, and not telling me about the change for a week. A good owner will always know what their horse is eating, and there’s very often a good reason they’re feeding that horse that way. Changing a feeding routine because “the horse didn’t seem to like that much beet pulp” is NOT okay. Not having mounting blocks. Every riding area that is designated as a riding area should have a mounting block. Sure, lots of people prefer to mount their horse from the ground – and I’ll be honest that I’d like to be able to mount my horse from the ground however he’s 16.3 and I’m fat right now, so sue me. Mounting from the ground every day puts a strain on your horse’s back. For what boarders pay, it’s not hard to buy a few mounting blocks and place them in key areas. Allowing other boarders to misbehave or break barn rules. When I ride and visit my horse, I am clean and considerate. I clean up poop, and put my stuff back where it belongs. I expect other boarders to do the same, and get irritated when I go out to the barn and there’s manure all around the cross ties. Having a gate that can’t be negotiated by just 1 person with a horse in hand. Ok so that sounds weird, but what I’m trying to say is you shouldn’t have to have 2 people in order to get a horse out of the pasture. If I risk having horses running loose (or actually getting loose) when I go to get my horse you are creating a potentially really unsafe situation. Not having a gate that separates the property from any roads. EVERY FARM SHOULD HAVE A FENCE THAT ENCLOSES THE WHOLE PROPERTY. End of story. One of my friend’s horses was killed by a car this way. Accidents like this are 100% preventable. Not allowing me my own area of the tack room. Lockers are nice, but not all farms have them and that’s okay but each boarder should get their own saddle rack(s) and surrounding area. Having other boarders dig through my stuff or place huge tubberwares blocking my saddles is uncalled for and easy to fix with some organization. Not being respectful of people trying to ride. If someone is riding in a designated riding area, workers should avoid walking straight through the area at that time. Trash and tools shouldn’t be left out where a horse could get into them. Children should learn that they can’t jump rope or ride bicycles right next to or in the same area as someone that is trying to ride. Mocking an owner for being careful with their horse’s health. Ok, so my horse has sudden diarrhea. That can mean a lot of things health wise, or it could mean he just got into something. Yes, he probably just got into something – but you don’t need to act like I’m crazy for checking his temperature. Not taking blankets off during the day just because you don’t feel like having to put them back on again that night. See, there’s this thing called hi and low temperatures. It can be freezing at night, and my horse may need a blanket. But if he is wearing that same blanket the next afternoon when it is 60 degrees outside, I’m going to be upset. I felt like I had more earlier, but maybe since I’m getting less and less annoyed the more I’ve been home they’re starting to fade. 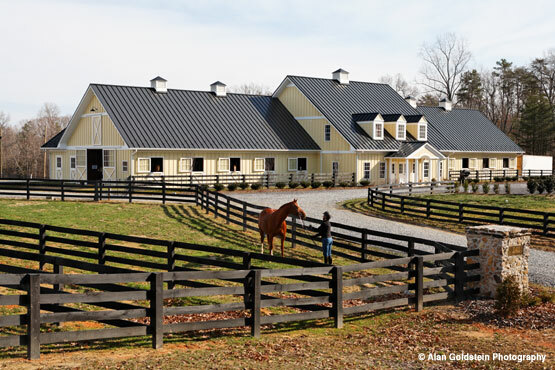 You don’t need to have the fanciest barn in the land to have happy boarders – it just takes organization and consideration. After all, your boarders are your customers! I stopped going to shows that also have this. Makes me crazy nervous, especially last year when my horse was a run-away loader. Best Post EVER. Now I don’t have to write one that pretty much says the same thing. After getting back into horse ownership two years ago, I already have become a barn hopper. At first I felt bad about ME. like I was the problem. Then I realized that my area for the most part has barn owners that only want to offer the bare minimum. Most of the care was one size fits all. Even my offer to pay “way more” to get more humane living conditions were met with eye rolling, sighs ( you are going to be a problem border aren’t you”) looks. Deep bedding? Apparently a horse can now relax in 1/2 an inch of bedding! Despite research that states a horse needs at least six inches to get quality sleep. And mine needs at least 4 inches to not get hock sores. What I ended up with was just more dirty bedding under a top dressing of new shavings. And don’t get me started on beddding pellets! Hate them and so do horses. If your are going to ask your horse to live in a cage, at least make it comfortable. If you try and remove the manure in the evening you are branded as “high maintenance”. Newsflash, horses don’t sleep and eat next to their poop in the wild, why do we think they want to do it in a stall. Years ago, twice daily stall cleaning was the norm. Nowdays that extra cleaning must interfere with the barn owners netflix subscription. Most barns forced horses out all day not because the horse might like it, but so the barn owner can leave for the day– regardless of weather or not have to clean up too much manure in the stall. Lunch for the horses while on their forced pasture fun? Nope, that was too much work for the barn owner. Let em stew in a dry lot or muddy sink hole all day on an empty stomach, because you know, being outside is “good for horses”. Well, in reality being outside in a large well maintained pasture with shelter is good. But not a tiny dry lot you are passing off as pasture turnout. My favorite barn insisted ALL horses must be in group turnout. Never mind that I had an ex racehorse that had no socialization and had been badly injured twice-while with another horse! Her reply was, well sometimes accidents happen and I can’t guarantee they won’t but they all go out together… Like permanent injury was just something I had to accept if I boarded there. And one of the most disturbing trends I found was the lack of arena maintenance. In the past I never had to ask do you maintain your arena? I experienced arenas with so much footing my horse would struggle to lift his foot up, and boarders who would turn out and create deep craters that my horse would sink into. Nobody seemed to have a problem with that. Except their horse was always going lame. Or the barn where the hogs fuel was so thin horses would hit the stone bottom and their legs would slide out or they would slip and fall. And yet the jumping trainer kept jumping A level horses in that dangerous footing. I reduced my horses work to walk and light trot and moved. The reality is it seems like very few barn owners or managers and trainers have any high level horsemanship skills. In Europe you have to certified just to teach. I think our lack of certification here in the US creates dangerous environments for horse care and instruction. Anyone can hang their hat and say they are a trainer.